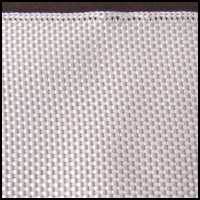 Fiberglass Woven Tapes - CST The Composites Store, Inc.
0.5" wide, 0.003" Thick, 3 yd. pkg. 0.5" wide, 0.003" Thick, 10 yd. pkg. 1" wide, 0.003" Thick, 3 yd. pkg. 1" wide, 0.003" Thick, 10 yd. pkg. 1.5" wide, 0.003" Thick, 3 yd. pkg. 1.5" wide, 0.003" Thick, 10 yd. pkg. 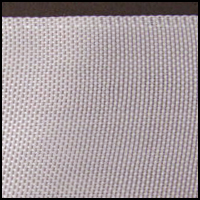 2" wide, 0.003" Thick, 3 yd. pkg. 2" wide, 0.003" Thick, 10 yd. pkg. 0.5" wide, 0.007" Thick, 3 yd. pkg. 0.5" wide, 0.007" Thick, 10 yd. pkg. 1" wide, 0.007" Thick, 3 yd. pkg. 1" wide, 0.007" Thick, 10 yd. pkg. 1.5" wide, 0.007" Thick, 3 yd. pkg. 1.5" wide, 0.007" Thick, 10 yd. pkg. 2" wide, 0.007" Thick, 3 yd. pkg. 2" wide, 0.007" Thick, 10 yd. pkg. 3" wide, 0.007" Thick, 3 yd. pkg. 3" wide, 0.007" Thick, 10 yd. pkg. 1" wide, 0.012" Thick, 3 yd. pkg. 1" wide, 0.012" Thick, 10 yd. pkg. 2" wide, 0.012" Thick, 3 yd. pkg. 2" wide, 0.012" Thick, 10 yd. pkg.